“With almost 70 percent of Africa’s population under the age of 40, we have a huge challenge in helping to create more jobs in Africa. 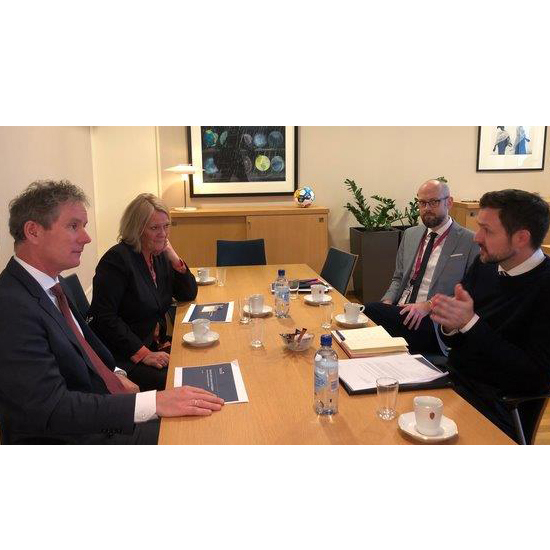 Norfund is an important tool for this”, said Norway’s new Development Minister, Dag-Inge Ulstein in his first meeting with Norfund’s chairman of the board, Kristin Clemet and CEO. Tellef Thorleifsson in February. Permanent poverty reduction cannot be achieved without economic growth. No country in the world has managed to lift the population out of poverty without economic development, and for a business to grow and create more jobs, it must be economically viable and sustainable. Ulstein showed great interest in Norfund’s ongoing strategy process and emphasized that it is important that Norfund continues to operate unbound in relation to Norwegian business and industry. “It is great if Norwegian export activities can benefit from the work that Norfund does,” he said, “but Norwegian interests must in no way be the starting point for Norwegian development assistance”. Wherever you are in the world, access to energy and capital is essential for a business to be established and grown. In January this year, Marius Holm, head of ZERO highlighted that developing countries need energy to grow out of poverty, and it is crucial that this comes from renewable sources. Ulstein followed this up by emphasizing that Norfund has an important task in making good investments in infrastructure, often together with private players. In this way, Norwegian development assistance can help to trigger large private investments in renewable energy – and stop the construction of new coal power. The many clean-energy power plants that Norfund has been involved in building up and investing in so far, both in Africa, South-East Asia and Central America, currently produce less than 15 Twh. This is about 10% of the electricity that is produced in Norway each year, but still corresponds to the consumption of 30 million people in the countries this is talking about. Ulstein also showed great interest in Norfund’s investments in African banks and pointed out that fintech represents an enormous potential for facilitating financial inclusion in a number of poor countries. He pointed out that it is important to keep your eyes open for new opportunities in both fintech and clean energy and that Norfund has considerable investment expertise and land experience that Norwegian development policy must benefit from.